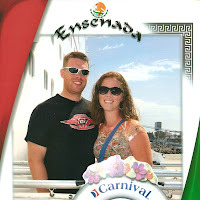 Clarke and I were able to go on a 3-day cruise to Ensenada, Mexico at the end of June. I picked up More Mema (Clarke's Mom) from the airport on Thursday night and gave her the 10 page instruction booklet. Early Friday morning, I headed off to Tracy to pick up Clarke from work and continue down to Long Beach where we would embark on our 3-day, no-kids, relaxation, sleep whenever we wanted, soak up the sun rays, adventure. 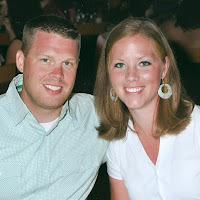 We enjoyed every moment of our little vacation to Paradise, which was also the name of our ship. We got extremely sun-burnt, read lots of books and magazines, ate lots of food, slept A LOT, and enjoyed spending time together alone away from the kids. Sure, we missed the kids, but we would do that again at the drop of a hat. We appreciate Mema and Bepa and More Mema for watching the kids while we were away.